Made in Victoria, Australia, 1872-1885. A plaster of paris model of Australian gold nugget: No.147 Crescent; Berlin, Victoria. The surface is painted with lustering gold paint. The model has a significant hole in it that represents the irregular shapes of gold orginally found. 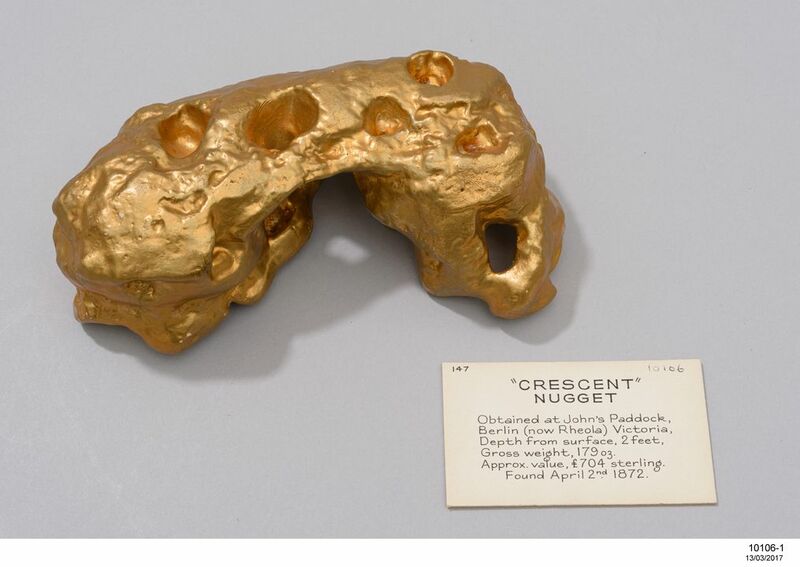 The original 'Cresent' nugget was found at Berlin (now Rheola) west of Bendigo in Victoria.